Real Help For Distressed Homeowners With FHA Loans!!! Well, it's Springtime again and the season is filled with new beginnings!!!! New flowers are springing to life and so is a new program benefitting those homeowners who are facing a hardship and have FHA mortgages. 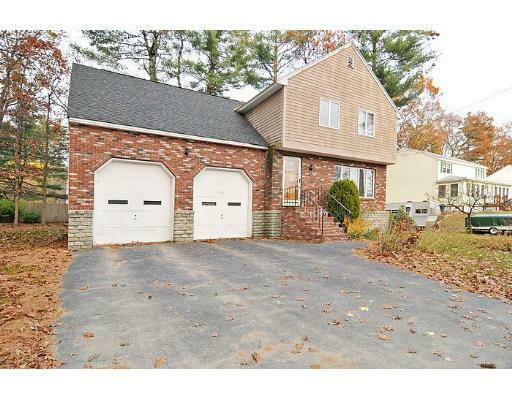 Haverhill MA Short Sale Closed- Owner can move ON!! LAS VEGAS SHORT SALES -How many for are there? Are they selling? YES! Currently there are approx. 4,389 short sales for sale in the Las Vegas area, this includes, resale single family homes, condos, townhomes, of that approx 3,443 of them are single family homes. There are approx. 11,756 short sales that are in escrow under contract/pending in the Las Vegas area. These Certifications are very educational and help agents become more effecient. I'm attending and getting certified for all 4 courses that you can get certified for on this REO Expo conference as well as I signed up to be a platinum member of Open Door. Let's see what happens. Lenders rekeying vacant homes? This is a first for me! I have done several short sales and have never had the lender put a note on the door that said home may be rekeyed due to being vacant. I work with someone that has had that happen to his short sale listing and it has been 4 months they have promised him the new key and he has several offers in the file and no key as of yet. Should we Settle or Short Sale? I have a new client that has a 1st with Ocwen and 2nd with Wells Fargo. His situation is so convoluted, it would take me hours to explain. Short sale negotiations, as we are doing them now, consist of collecting a complete short sale application and an offer and then working through the bank to get them to agree to accept less than they are owed so the contract can close. The presumptive position in the negotiation inherently disadvantages the agent/negotiator as they are asking for a tangible discount by providing evidence that the lender will be better off in the long run based on subjective evidence of value (BPO). Investor changes the entire picture... what could I have done differently? Short sale that took a year and a half. Are any of you seeing banks provide seller concessions? Have any of you seen banks provide 3% or more seller concessions on the short sales? If so who has been willing to do this. Our area has several short sales. The buyers in our market normally need the seller to provide concessions to close the deal.